Our next Dance with Dancescape night is set for Friday, July 15th at The Sweat Spot. From 7 – 10 pm, it’s sure to be a hot summer night with classes taught by these fierce females! We welcomed Juliette for the first time as a choreographer and performer at Dancescape VIII in 2011. Originally from Toronto, and now based in Los Angeles, Juliette Irons is quickly becoming well-known for her abstract movement all over North America. After spending one summer training with Netherlands Dance Theater in Holland, Juliette creatively directed and choreographed a full length show entitled “DISORDER” in march of 2013. Also, Juliette was one of 5 soloists featured in “Regretless” – a collaborative dance show with musical artist Richard Walters. Juliette recently traveled on a 3-city teaching tour of Australia, including the Brent Street Studios Arts College Program in Sydney. Juliette was chosen to speak and present her work at the UK Synesthesia Association Conference in London this year, as well as held master classes at Studio Harmonic in Paris. Juliette was a faculty member of Top 10 Dance Challenge Convention tour, and teaches regularly at EDGE performing arts center in LA. She is also a 3-time finalist of the Capezio Ace Awards. Juliette was recently a part of AXIOM dance theater’s latest evening-length feature – LILIT, and most recently she choreographed Purity Ring’s latest music video and live show! Kavita Rao produces distinctive contemporary dance styles and is the owner and artistic director of Karmagraphy Entertainment in Los Angeles. Internationally and regional renowned for her choreography and teaching abilities, she conjures out of her world travels characteristics of eastern and western dance. Signed with one of LA’s top dance agencies, MSA, Rao has been featured in numerous lives shows, music videos, films, commercials and television shows. Her work can be seen in episodes of “Tribeca” on TBS, “Dancing with the Stars”, and David Tuterra’s Celebrations on WeTV. Rao is one of the most recent additions to the faculty of The Relativity School in LA. She has judged many national Bollywood competitions, including Just Dance (India’s SYTYCD), Jhoomti Sham and Bollywood America. Rao has been a master teacher with Dupree Dance Convention for the past 6 years and has the pleasure of being the first teacher to bring Bollywood to the convention dance world. 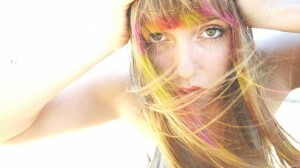 She created artistic works in Guam, Israel, Los Angeles and across the US. Choreographing for multiple artists, Rao has a long list of music videos to her credit. She is also the resident choreographer for the commercial production company Contagious and some studio residencies include Millennium Dance Complex, Dance Dimensions and International Dance Academy Hollywood — and master classes across the country. 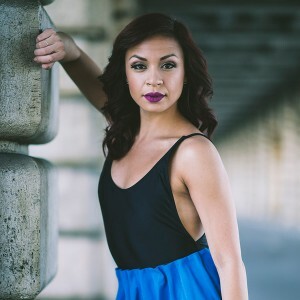 Along with teaching multiple dance styles, Rao uses her public relations and entrepreneurial background to teach a business for dancers class to help prepare young dancers for the industry. As the Artistic Director of Karmagraphy, she recently choreographed and danced for clients such as IFFA (International Fashion Film Awards), International Indian Film Academy (IIFA), IFFLA (Indian Film Festival LA), Disney/Pixar, Dreamworks, Kaiser Permanente, Intuit,Gita Anjali Diamonds, GO Campaign, Pratham, INDUS, TIE (The Indus Entrepreneurs), South Asian Bar Association, Arpen Global Charities, and SDM Cancer Relief Fund. Co-creator of Bollywood Rise, a full-length dance spectacular featuring interdisciplinary performance arts and high scale production, Rao pushes the envelope when creating live stage shows. Bollywood Rise has been picked up by About Entertainment and is lookingorward to a busy touring season. Rao also obtained rave reviews for her work in “Beyond,”a cabaret show that had a residency in Los Angeles.” Her new work “Incarnations of a Goddess” is the creation of a new genre – Bollywood cabaret. *Class costs are a tax-deductible donation to Cheshire Moon. DANCING IS MORE FUN WITH FRIENDS! Click here for the event on Facebook to join and share.